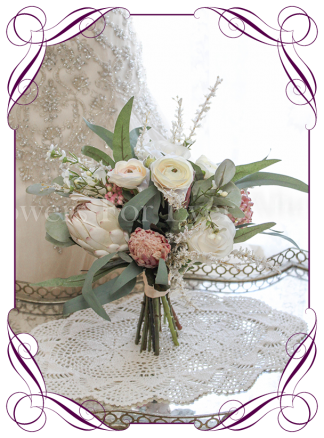 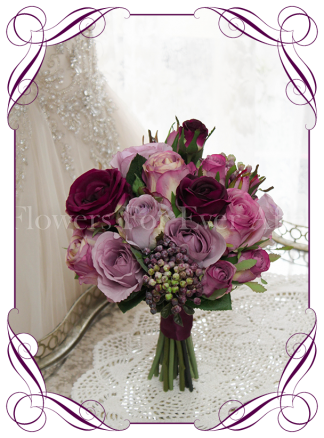 View cart “Shelley Bridesmaid” has been added to your cart. 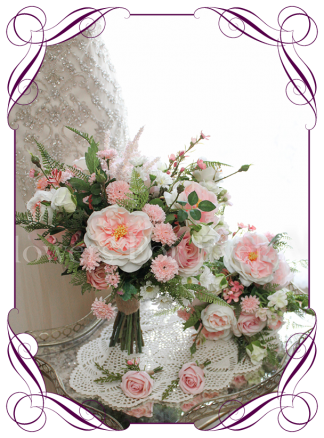 A beautiful bouquet of different pink tones in a textured realistic garden picked style. 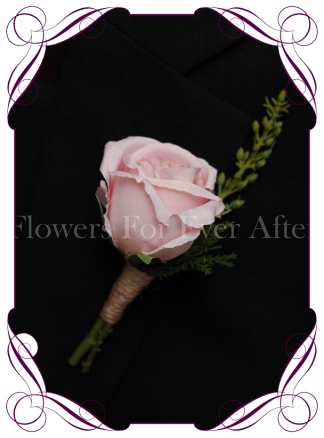 Will suit perfectly with bridal parties wearing any pinks, any blues, navy, green, yellow, any purples, lilac, burgundy, raspberry, silver/grey, or black. 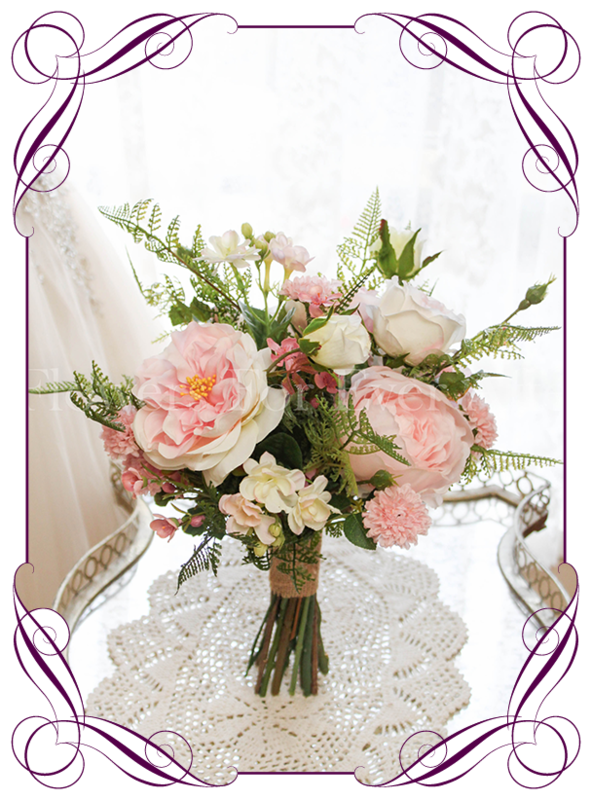 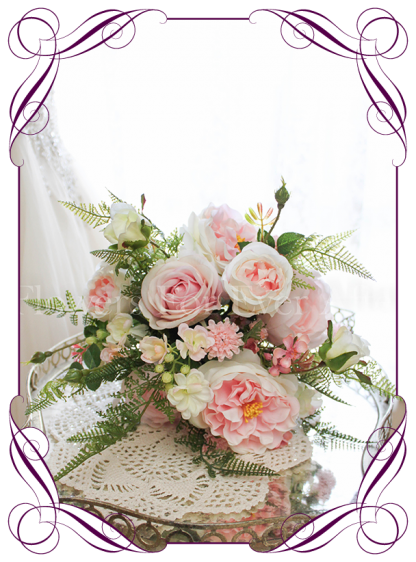 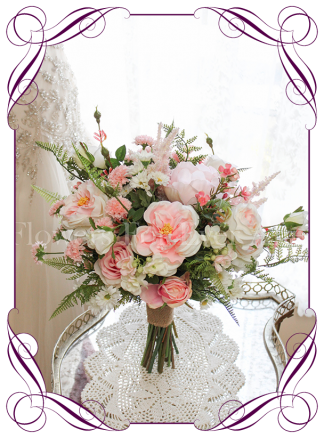 Features light pink peonies, pink centered open David Austin roses and buds, pink Geraldton wax flowers, blush pink jasmine, mini daisies, pink small chrysanthemum, pink classic roses, and fern foliage. The bouquet handle is finished in hessian. Measures approximately 24cm across (9.5 inches) across. 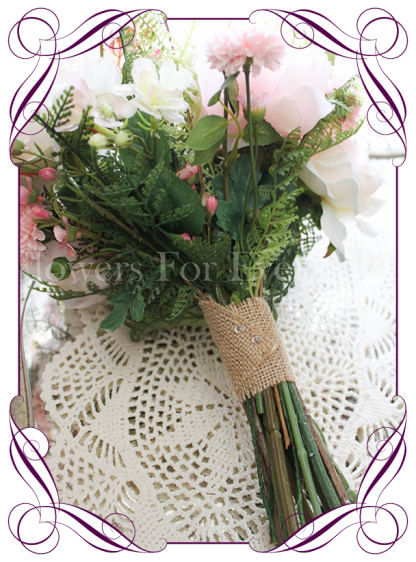 ***Any package orders over $450 will also receive a free matching throw/toss bouquet. 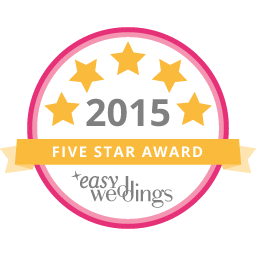 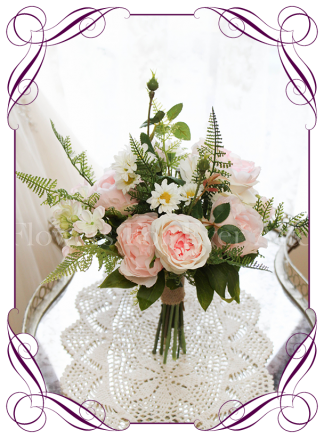 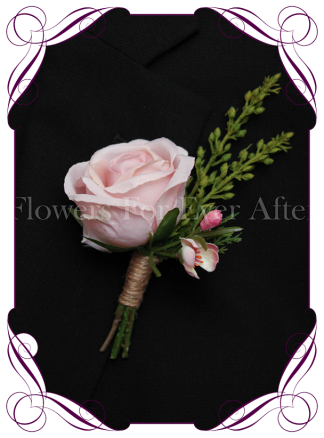 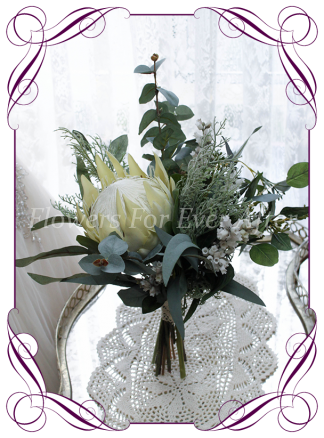 A matching package, bride, button, or flowergirl posy are available in a separate listing.